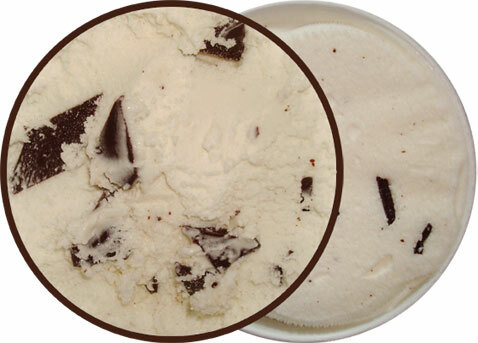 [By Nick] Time to look at the other pint of Good & Delish Homestyle ice cream I picked up. 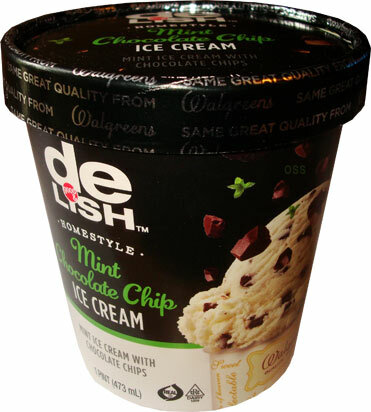 Unlike Banana Split, Mint Chocolate Chip wasn’t a part of the original Walgreen’s flavors so this one is in fact “new”. To be honest, I’m not too sure why they didn’t originally offer a mint flavor seeing as its pretty standard fare. Described as “mint ice cream with chocolate chips” It’s pretty much just your basic mint chip flavor, nothing more and nothing less. That shouldn’t be all that shocking seeing as it’s a store brand ice cream and all though the picture on the pint does show a white base so if anything it is kind of straying from the norm and not being the token green mint products seem to be associated with. If I didn’t know any better, I’d say it was regular old chocolate chip ice cream on first glance. That quickly changes after my first bite because this flavor is full on mint. While not grassy like fresh mint, it’s not super artificial either. It’s a nice balance of the two which I find pleasing. While the base is still light and fluffy like the Banana Split flavor, it seems to be a tad bit denser in this pint. The chocolate chips are more like chocolate shards. Heck, a lot of them even look like parallelograms. They’re more milk chocolate than dark which disappoints me seeing as I feel like dark chocolate compliments mint better. Still the chocolate tastes great and isn’t low grade or any of that mockolate junk. It also adds a solid crunch to the product which I appreciate. Going into this one, I thought I was going to get bored with the pint to be honest. I’m pleasantly surprised that I found myself enjoying this one as much as I did. Sure this flavor isn’t perfect but it’s a safe, satisfying flavor and that’s all you need sometimes. Good job Walgreens on producing a store brand flavor that I’d consider grabbing over some of the name brands! Verdict? An above average, mainstream mint ice cream. But that’s not all! 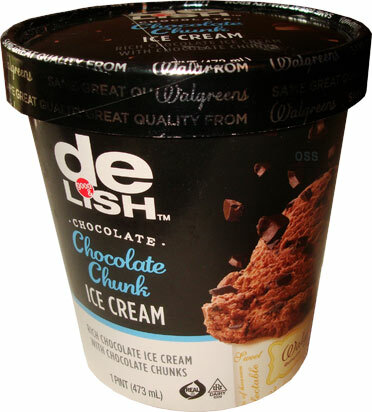 Walgreen’s also released Chocolate Chunk which is obviously just swaps out the mint base for a chocolate one. 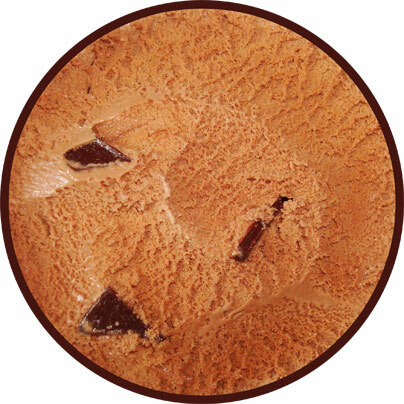 The description says it’s a rich chocolate ice cream but it’s pretty flat to me. The flavor doesn’t come off strongly of either milk chocolate or dark chocolate. All I taste is just generic chocolate. Thankfully just like the mint chip flavor, this one uses the same chocolate shards I really enjoyed. They add more of a complete chocolate flavor to the pint. It’s not enough however to make me want to consider picking this one up again like I would the mint flavor. Verdict? Meh base that the chocolate chips can’t save. Mint chocolate chip will always be my OTP. But this one... I don't even want to try it. I've never liked walgreens ice cream. So, until something else comes out Friendly smooth churned mint chip is always going to be my favorite. @Anon: I've actually had the friendly's version awhile ago and would say this one is a little bit better. I think its just the chocolate shards and the lack of an artificial green color that wins me over though.